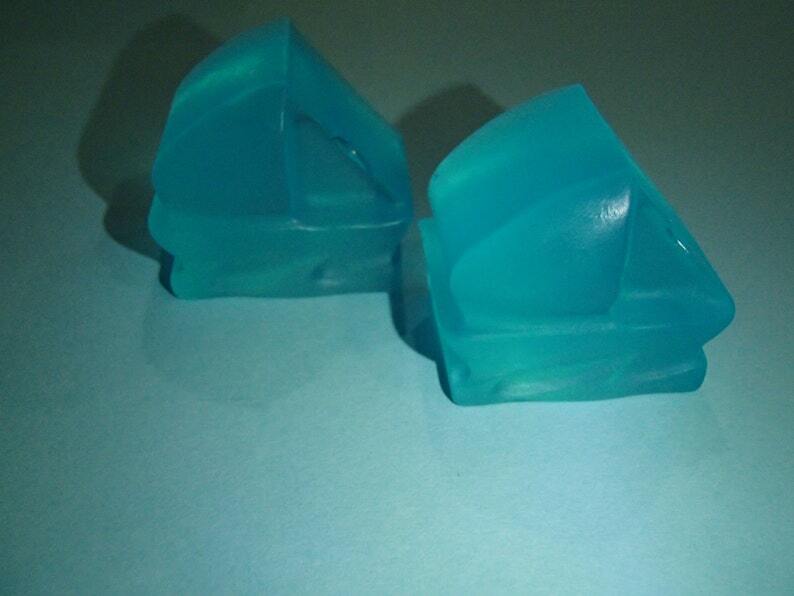 This is for 2 soaps in the shape of a Sailboat. Each weighs ~0.5 ounces. Each measures ~1.25 inches in length, ~1.25 inches in width, and ~0.75 inch thick. They are scented Ocean and colored blue. This soap is great for use in your own bathroom or a guest bathroom, especially for beach and ocean themed bathrooms. It also can be a fun party favor.